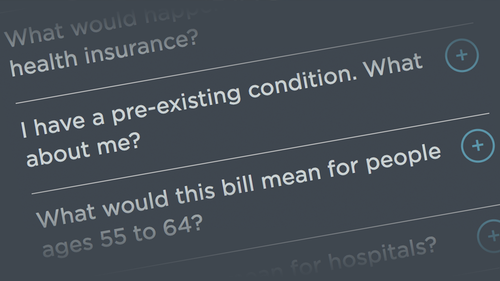 How Would The Republican Health Care Bills Affect You? This week, Republicans in Congress will try to rally votes behind a bill that proposes major changes to the way Americans get health care and how much they pay. Use this Q&A to explore how the bills would affect you.